we have published our first book "Cabin Fever". Finished size of the quilt is 84 x 100. 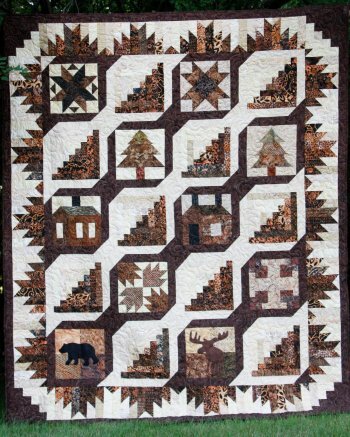 This is a perfect quilt to use up scraps! We only have a few openings left for Judy's Classes! *Will include wool kit, needle, 1 spool of thread, and fusible. *Will include fabric sandwiches to practice on. Our Christmas Gifts have arrived, make sure you stop by the store to start your shopping! Only 77 days till Christmas.